Al somehow convinced me to fly to Reno and do the Burning Man Rally (I mean, North Nevada Rally), with him. It was quite an adventure. First of all, the Reno airport is empty. I think I was the only person on my plane and definitely the only person going to Reno in July. For example, the check-in counter was closed when I got there for my flight home. And it was in the afternoon! Friday morning, we did recce before the rally way out in the desert. It really is by the place where they have Burning Man, by the way. The Sheriff talked to us for a bit and didn't seem too happy with cars driving by, but we assured him we weren't there to do drugs and hang out in his desert naked, so he warmed up to us. After recce and lunch, we did some stages I can't remember anything about. 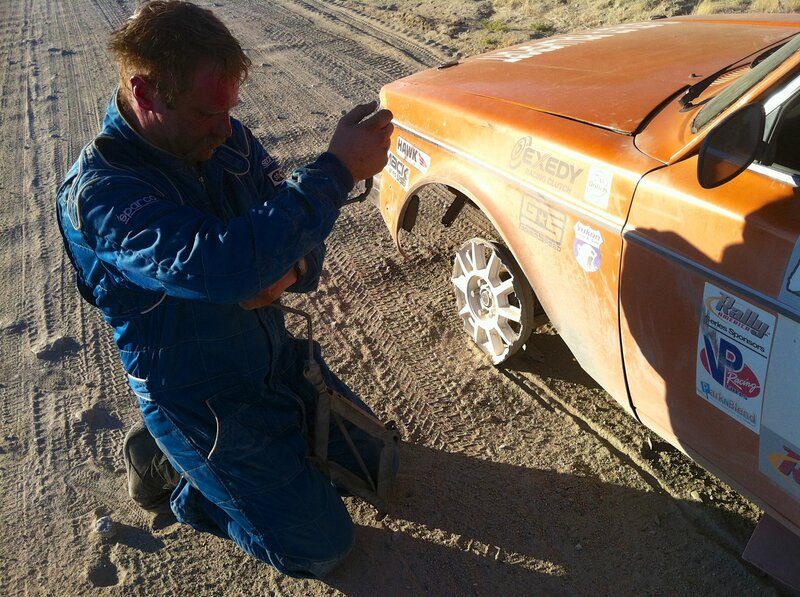 I do remember a mechanical DNF after the end of one of the stages, however. Something electrical gave up in the old Volvo and we had to do some lengthy roadside repairs or something. It was dark and we were in the desert. No service crew to speak of, but some volunteers hung out with us until we got the ol' girl back to the truck. Drama for the weekend over, right?